A new study has found that videogaming before bed may not have as much of an impact on the sleep patterns of teenagers as originally thought. 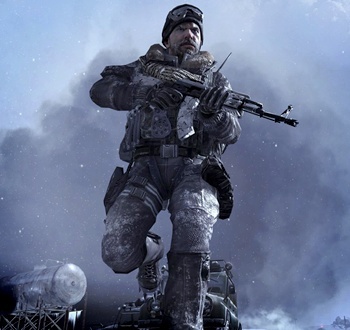 The study involved 13 boys aged 14 to 18 years who were asked to perform one of two tasks while in bed in a darkened room: Watch the Academy Award-winning documentary March of the Penguins, or play Call of Duty 4: Modern Warfare. Everyone in the study took part in both activities during one of two sessions, yet in spite of the intentional disparity between the two, researchers found that those who played the videogame took only slightly longer to fall asleep than the movie watchers. Furthermore, while they displayed a slight increase in "cognitive alertness," there were "no no significant differences in physiologic arousal between the two groups, and both ended up sleeping normally." Eleven of the teenagers in the study took longer to fall asleep after gaming than after watching the movie, while two fell asleep faster. As you might expect, four of the participants actually fell asleep during the documentary. The median time to sleep was 7.5 minutes after gaming and three minutes after watching the movie. The study isn't without critics, of course. Michael Gradisar of Flinders University in Adelaide, Australia, said the strictly-controlled laboratory setting may have actually diminished the impact of the game-playing. Gaming sessions were limited to 50 minutes, the maximum amount of continuous gaming recommended by PlayStation 3 maker Sony. "The teens only played the video game for 50 minutes, and they only played it on a single night," he said. "Despite finding that they were mentally stimulated playing the video game, I believe the 'dose' of 50 minutes was too low to have any major ramifications on their sleep." Cheryl Olson, co-director of the Center for Mental Health and Media at Massachusetts General Hospital in Boston and co-author of Grand Theft Childhood, echoed concerns about the limits of the laboratory, saying, "Other studies have shown problems with children using media instead of sleeping. They sacrifice sleep to spend more time watching TV, playing games or texting friends." But, she added, "This is good news for parents." On a side note, yes, I do find it rather amusingly ironic that Australia, the land of no R18+, has academics conducting research in which 13-year-old boys play Modern Warfare.